Are you in search of a new dentist? Whether you’ve just moved to a new area, purchased a new insurance plan, or are just looking for a change, finding a cheap dentist that you trust can be a trying process. Keep reading for some tips on how to select a dentist. It is important to get a dentist that you feel comfortable with. Therefore, a good place to start is by getting recommendations from people you trust. By getting recommendations from others, you should be able to put together a good list of potential dentists. Once you have your list, you can begin looking into each individual dentist and their practice to determine the best one for you. The location of the office. Is the practice in a convenient location for you? Would you be able to commute there easily from home or from work? If the practice is far away or hard to get to, you may want to reconsider using them as your dentist. The appointment schedule. What are the office hours of the practice? What is the policy on canceling or rescheduling appointments? Make sure that the appointment times can be conveniently worked in to your schedule. The staff. Is the staff friendly and helpful? Consider the quality of the dental staff, as these are the people you will primarily be in contact with during your visit. The cleanliness of the office. No one wants to get their teeth cleaned in an unsanitary environment. Make sure you are comfortable with the cleanliness and organization of the office. The cost of the procedures. What do the typical fees look like? Do the prices seem reasonable compared with other dentists in the area? Finding a cheap dentist that you trust is the best way to ensure that you will get the care you need. The insurance plans accepted. Not all dentists accept all insurances or dental plans. Make sure your insurance is accepted at a practice before signing on, or else you may end up without a cheap dentist. The referral policy. What is the policy for special procedures that need to be done outside of the practice? Does the dentist refer out to a specific specialist or are you on your own to find someone? Knowing this up front rather than being caught off guard by it later may help you decide whether or not to use the dentist. Finding a cheap dentist that you trust is very important. 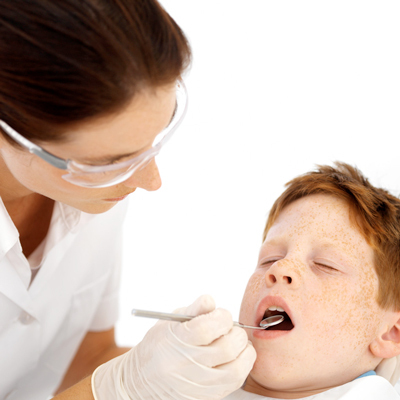 While finding a dentist can be a rigorous task, it helps to know what to look for. Just follow the simple tips above and you’ll be one step closer to finding a dentist that is right for you.